Scented candles are one of the most popular mosquito repelling methods alongside other repellents like DEET and picaridin sprays and lemon eucalyptus oil. There are many different opinions regarding the effectiveness of scented candles when it comes to insect repelling. One thing that makes these type of candles so popular is that they usually contain only natural substances, so people that do not like to put a toxic substance such as DEET on their skin, or don’t like to put any mosquito repelling lotion or spray on their skin and clothes, much rather choose to use scented candles to repel mosquitoes and have a mosquito-free outdoor time. But how effective are these candles and what substances are used in these candles that make sure that the candles actually repel mosquitoes? The most common substance used in mosquito repelling scanted candles is citronella oil. We have previously looked at what citronella is and how effective it is for repelling mosquitoes when applied on the skin in form of a lotion. Citronella oil is obtained from the leaves of a lemongrass plant. When it comes to scented candles no other substances are so widely used in these candles as citronella oil. Besides that it is a natural insect repelling, candles containing this substance have a long burning time and they can also be made at home. As most scented candles use citronella oil for mosquito repelling, they work in the same way a citronella oil works, when applied to the skin in the form of a spray or lotion. In general, citronella oil blocks scents from our bodies that mosquitoes can detect, which makes use more invisible to them. Scented candles with citronella oil will be more effective on some mosquitoes breeds and less effective to others because some mosquito breeds detect carbon dioxide more than other scents to find humans, while other mosquito breeds may be more attracted to heat, sweat and different odors from our bodies. When scanted candles burn, citronella oil evaporates from the candle and releases around the candle, which makes people and animals in the close range of scented candle less visible for mosquitoes and other insects. Scented candles do not kill or stun mosquitoes, just repel them for a certain amount of time, while the candle is burning and releasing mosquito repelling substances into the air. There are different opinions, whether scented candles are effective mosquito repellents, but some studies have shown, that scented candles do indeed repel some percent of misquotes when used in a short distance of 1 to 2 square meters. However, when the distance increases, the effectiveness of a scented candle decreases dramatically. 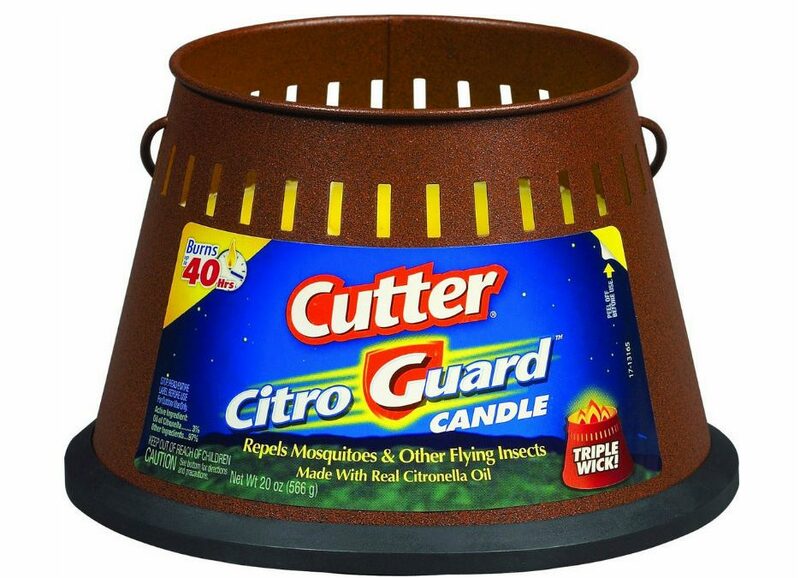 So if you want to use a scanted citronella candle as the only mosquito repellent, you will have to sit close to the scented candle in a 1 to 2-meter range for the candle to provide some level of protection against mosquito bites. For more effect you could use multiple scented candles together, to allow the candle to repel mosquitoes in a greater area. Besides the small working area of a scented candle, the wind will also decrease the effectiveness of it. Smoke from the candle can easily be blown away by the smallest wind gusts. However, mosquitoes also do not like wind, so if its windy outside, you probably won’t need to use a mosquito repellent in the first place. While scented candles that contain citronella oil for mosquito repelling may repel a certain amount of mosquitoes in close range, other scented candles may cause an opposite effect. When candles burn they release a carbon dioxide which is a strong attractant for almost all mosquito breeds. And what is even worst is that mosquitoes can detect carbon dioxide from a longer distance, so a burning candle will not only attract near mosquitoes but also mosquitoes from further away. So in opposite to repelling mosquitoes, the candle will attract more mosquitoes from around. I would be more useful to put a burning candle away from an area you are, so mosquitoes close to these candles can detect a carbon dioxide from a burning candle and not your breath. 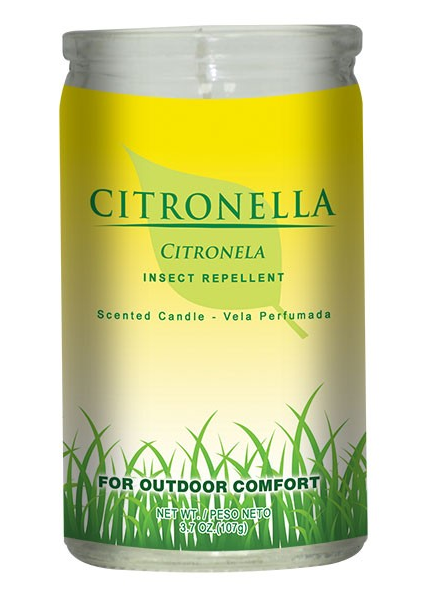 Another weakness of citronella oil in comparison to other mosquito repellents such as DEET is that it provides a short-term effect for mosquito repelling. For example, DEET can provide more than 6 hours of protection against mosquitoes, while citronella oil will only provide a half an hour to an hour worth protection. This means that when the candle will stop burning, mosquitoes will again be able to sense a human body. The good thing is that most of the scented candles will provide from 10 up to 50 hour burning time, so you can use a single candle for multiple times until it will burn out.